Windhoek Optics was officially registered in 1987, three years prior to Namibia’s independence. However since the late 60’s the principal and founder of the company, Mr. Franz Mehl, travelled all over the country to make spectacles available to people in the remotest parts of Namibia. He was “ op Pad ”. 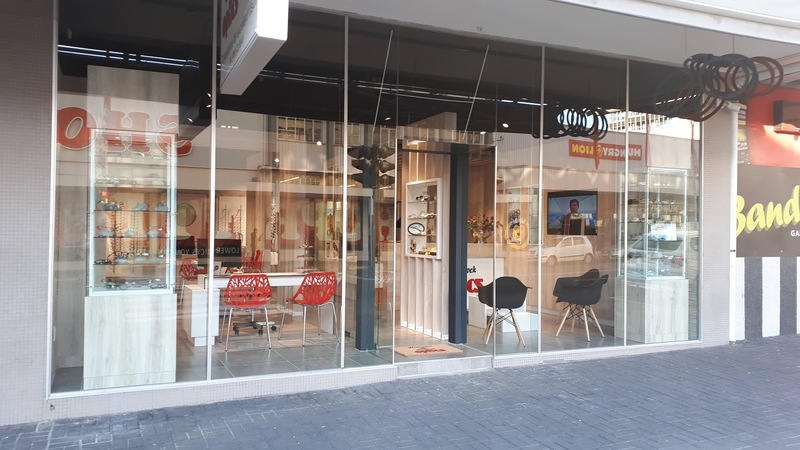 This service is well appreciated by the population and is still offered by the current owner of Windhoek Optics, Mr. Theo Klatte, who took over the company in 2007 . As a well-established Optometric Service Provider, Windhoek Optics take care of all kinds of visual needs and in co-operation with the local Ophthalmologists always offers the best possible service. Windhoek Optics opened its doors in 1987 and after 31 years of succesfull service the need of refurbishment arose. During the month of June 2018 a lot of tilers, carpenters, electricians and other craftsmen created a new look and gave the shop a stylish and modern atmosphere. Browse through our Web-site to get information about various topics of Optical and Optometric facts. Any questions arising will gladly be answered by our friendly team, so feel free to contact us.